In an attempt to improve our children’s mental mathematics, we have introduced a new version of Ray Maher's (an independent maths consultant) maths passports tailored to the needs of our children at Gray’s Farm. The Maths Passport is a clearly structured, progressive scheme to help you and your child be very clear about the next steps in their mental maths skills. The maths passports start in Reception and work through, all the way up to year 6. The passports are broken down into continents and children will work through each of these in turn. All continents have a set of clear objectives and they will be assessed against these over a period of time. Each passport contains three to six targets. Each target is based on key mathematical concepts which are essential for everyday success in maths and correspond to the new National Curriculum. The emphasis of the passport scheme is on the child having instant recall of the facts (i.e. they know them off by heart and do not need to ‘work them out’.) This will give your child the very best foundation on which they can build and apply their other maths skills. Once your child has completed a passport, they will receive a certificate and badge to show that they have collected that particular place. They will also receive their new passport, which will contain their new targets. 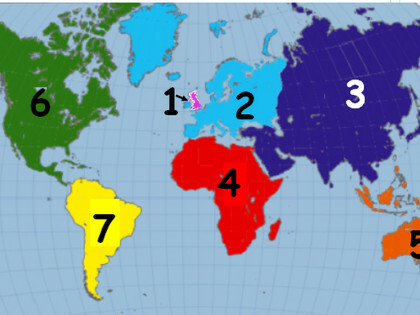 Class teachers have already carefully assessed children and chosen the appropriate continent for them to begin on. Passports now start at England and finish with Atlantis. You can view the new passports by opening the Documents below.